PT Chandra Asri Petrochemical Tbk (CAP) is a result of merger between PT Tri Polyta Indonesia Tbk (TPI) and PT Chandra Asri (CA) on January 1st, 2011. TPI was the largest Polypropylene producer in Indonesia and was established in 1984. CA was the producer of Olefins and Polyethylene products and was established in 1989. After the merger, we became the largest publicly listed petrochemical company in Indonesia. Currently, CAP is owned by two major shareholders, Barito Pacific Group and SCG Chemicals Co., Ltd. (SCG), a subsidiary of SCG Group, Thailand. CAP is the largest integrated petrochemical company in Indonesia that operates the country’s only world-scale size Naphtha Cracker in Indonesia. After the completion of a multiyears project of Naphtha Cracker expansion in December 2015, CAP is now able to increase its annual production up to 43% consisting of Ethylene production amounting to 860KTA, Propylene 470KTA, Py-Gas 400KTA, and Mixed C4 315KTA. Our plant is strategically located in Ciwandan, Cilegon, Banten province, providing convenient access to our key customers. Further exploiting our geographical advantage, we have installed and are currently operating a 45 km distribution pipeline which connects our petrochemical complex to customers within the area. We incorporate state-of-the-art technologies and supporting facilities to produce 1,330KTA of Olefins (Ethylene, Propylene), Py-Gas and Mixed C4; and 816KTA of Polyolefins (Polyethylene and Polypropylene). Our production facilities include two trains for Polyethylene products and three trains for Polypropylene products. In order to support the overall production operations, CAP has on-site power generator capacity that excesses the normal production requirements as a back-up power source which is connected to the State Power Company (PLN). The leading and preferred petrochemical company in Indonesia is seeking potential individual to be a part of our very dynamic and challenging environment to be placed in Cilegon or Jakarta. Due to our rapidly growing, we provides an excellent opportunity for fresh graduates and professional who fills the vacant position below. Developing, updating, repairing, modifying and implementing new or existing SAP applications as per user request. Evaluating and improving the application program's effectiveness and performance. Troubleshoot technical issues and identify modification needed in existing applications to meet changing user requirements. Regularly report the status of project development to supervisor/manager. Documented all necessary document related to project development. Bachelor Degree in Information System or relevant major. At least 5 - 6 years of working experience in Oil and Gas Industry/Company with specific skills in SAP ABAP programming (including ABAP for HR), SAP Workflow, and SAP Personas/Dynpro. Having a set of skills in windows/web/mobile programming and database system, such as Visual Studio, C++, Java, SQL, mySQL. Must possess good spoken & written skills in English. Have a strong point in analytical thinking. Having an ability to work under time constraints to meet deadlines. Those who you are interested please apply via links below. 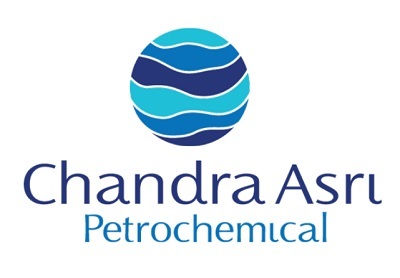 Thanks for reading PT Chandra Asri Petrochemical Jobs: SAP Application Developer. Please share...!